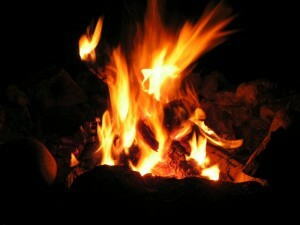 A campfire often sets the mood for a good camping experience. Associated with warmth, cooking and socializing, the campfire really is the life of the camping party. So how do you make a successful campfire? Before you pick up the matches, make sure you’ve found a suitable, safe spot for your campfire. Try to avoid areas with overhanging branches and clear the ground of any debris. A place that is shielded from strong winds will make it easier to light your fire and reduce the risk of the fire spreading. It is also important to find a spot to build your fire that is some distance away from sleeping and eating areas; clothing, tents and picnic tables can easily ignite if they’re too close to open flame. Have a bucket of water, shovel and a fire extinguisher nearby and ready to put out the fire if it happens to get out of control. Construct a fire ring with either a metal fire pan or create your own by digging a fire pit and lining it with rocks. Tinder: the base foundation of the fire, tinder can consist of dry leaves, grass or needles, bark, wood shavings, and small twigs. 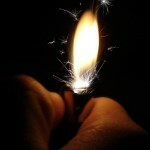 The trick is to have material that will burn immediately once lit and be able to ignite heavier, more dense material. 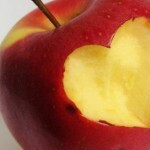 Kindling: the heart and hold of your fire, the best kindling are small sticks no larger in diameter than 1 – 2”. Break the kindling to fit inside the fire pit and align the sticks so that oxygen can reach the fire. Large Wood Pieces: the fire’s fuel, these chunks, no more than 3 feet in length, should be added last and placed inside the fire ring. Loosely pile a few handfuls of tinder in the centre of your fire pit. With your back to the wind and with your match protected in the cup f your hand, ignite the tinder. (Many beginner campers prefer to light the tinder from several different places, using a few matches). 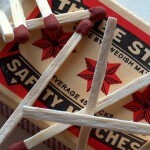 Throw the used match(es) into the fire. Be strategic where you light your fire – leave an opening to reach the tinder. If possible, light upwind; any wind that blows will strengthen the flames. Gradually add more tinder. To encourage the flames, blow softly at the base of the fire. When the tinder has started to fully burn, steadily add some small pieces of kindling. Don’t add a new piece until the previous one has caught the flame. Place the kindling down close together, but allow enough room for air flow – adding too many, too fast will cut the oxygen supply and smother your growing fire. Distribute your pieces in a lattice pattern (think about the game, Jenga). Place several pieces of wood parallel to each other on one layer, and then create the next layer perpendicular to the previous one. lace several pieces parallel to each other on one layer, then add the next layer perpendicular to the previous one. Slowly progress to the larger pieces of kindling to build your fire. When the fire is burning steadily, add the large chunks of wood, one piece at a time. Remember to leave air space between the pieces of wood. Build your fire UP, not OUT. Create a high pile of wood rather than flat one. Make sure to completely your extinguish fire. If the fire still has flame when you go to put it out (smouldering chunks of charcoal, glowing embers), cautiously apply water. If you’re using a fire pit, don’t pour water onto the fire (you don’t want to leave your fire pit flooded and unusable), just sprinkle enough water to quench the coals and embers. However, if the fire was built on fresh ground, a fire can burn into the soil debris without being detected; so in these cases you need to apply lots of water to ensure that the ground beneath is thoroughly soaked. Once the fire is put out, scatter the ashes or embers with a stick, making sure they all get wet. Again, sprinkle the fire with water. Continue sprinkling until nothing hisses anymore as you pour water onto it. Ashes should be cool to the touch before you can say the fire has been put out. If your looking to do some cooking over the campfire be sure to read the articles on Campfire Cooking and some great Camping Recipes. If you know of some tips when campfire cooking or know of any camping recipes we would love to hear them! Please share them with us in the comment box below. 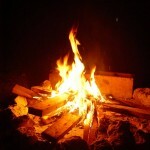 There are different types of campfires, each with special uses and techniques. If you’d like to learn more about campfires and the correct way to build them, refer to the article “Types of Campfires”. No responses to "How to Build a Campfire"